and committed to your case. Our Los Angeles Law Firm, Law Advocate Group, LLP, provides general legal services, counsel and representation to individuals and businesses in Los Angeles, Beverly Hills and throughout the United States. Our professional experienced legal team provides more that 80 years of combined experience and knowledge at your side in business law, entertainment law, real estate law, corporate and criminal defense law. Our business law firm is headquartered in Beverly Hills, California, and the majority of our cases are brought on behalf of residents and businesses in Los Angeles and Orange counties. While we are a general practice law firm and can advise you on a number of different matters, our strengths and experience in entertainment law, business and corporate law, real estate law and criminal defense matters have helped all clients throughout Los Angeles. The majority of cases we litigate represent a single plaintiff, but we can bring class actions as well. Our Los Angeles Business Lawyers are knowledgeable in commercial law, business formation and alteration, civil litigation, transactions, breach of contract, contract fraud, business litigation, business fraud, business planning, business reorganization, business transfers, buying and selling of businesses, closely-held business, entrepreneurial business, corporate partnerships and S corporations. 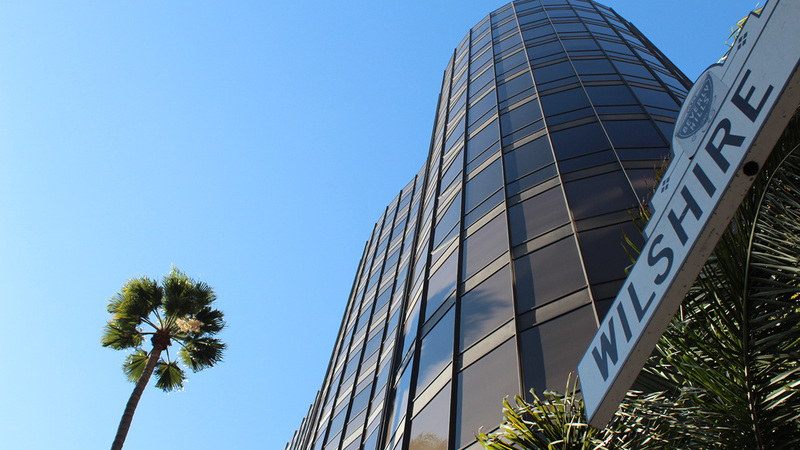 Our Los Angeles business law firm receives top ratings among industry peers. Law Advocate Group, LLP is a corporate business law firm located in Beverly Hills, Los Angeles, CA that provides a full range of legal services to clients throughout the region. We offer high quality legal solutions that reflect the particular needs of each individual client. Our business lawyers are well-respected and have developed a reputation for our skills and ability in a number of areas, including business law, real estate law, entertainment law, and asset protection. At Law Advocate Group, LLP, we value our relationships with our clients. We often tell clients that we want to be their “attorneys for life.” Some engage us to handle one specific matter and do not have a reason to seek legal counsel again. Many others, however, particularly those who are active in business and in the local community, have consistently returned to us any time the need for legal counsel or services has arisen. Our attorneys have earned the respect of clients, judges, and the legal community at large for our commitment to our work and the results we obtain for those we represent. We have extensive backgrounds in litigation and trial work, as well as transactional know-how, making us uniquely suited to fully serve the needs of business clients. We also draw upon relationships with professionals such as accountants and tax experts to provide comprehensive advice to the businesses we represent. Our goal at Law Advocate Group, LLP is to satisfy every one of our clients so that they will continue to use our services and recommend us to their friends and associates. Toward that end, we strive to provide highly personalized counsel, making our lawyers available to clients and responding to phone calls and emails in a timely manner. That, we believe, is how you build a solid Beverly Hills Business law firm. Law and compliance influences all areas of the corporate and business environment, and various complex legal challenges confront business owners and managers. 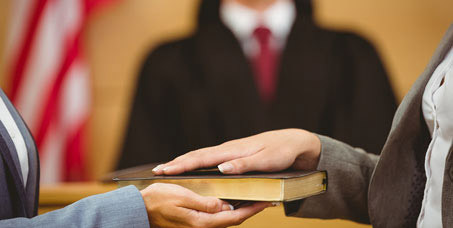 At Law Advocate Group, our business lawyers provide our clients with reliable and effective representation in legal matters that arise every day in the business context, including issues affecting entity status, commercial disputes, employment matters, partner and shareholder disputes, financing issues, business contracts, asset transactions, mergers and acquisitions, and corporate governance matters. Our business lawyers provide comprehensive legal advice and counsel to startup business organizations in Los Angeles to facilitate selection of the appropriate business form, customized for our clients’ individual situations. The firm’s team of professionals also aid established companies in their day-to-day legal problems and support various multifaceted business transactions, keeping our clients’ best interests in mind. The firm keeps abreast of changes in local, state, and federal law so it can represent its clients in all stages of their operations, from regulatory compliance to transactions to litigation. We are proud of our commitment to providing effective guidance to clients throughout any business matter. We stand prepared to identify and address our clients’ needs, no matter how complex, in the business, corporate, and commercial settings. The firm ensures to keep its clients’ corporations, limited liability companies, partnerships, and trusts working at top efficiency. If you have a business-related question, contact the attorneys at Law Advocate Group today to learn how we can help your business. When it comes to business litigation matters, there are never any guarantees on how your case will turn out. Therefore, it is best to work with a civil litigation attorney who is highly experienced, and who is dedicated to representing your interests and rights to the full extent of the law. At Law Advocate Group, we will evaluate your situation and develop a solution that will help produce real results in your favor. 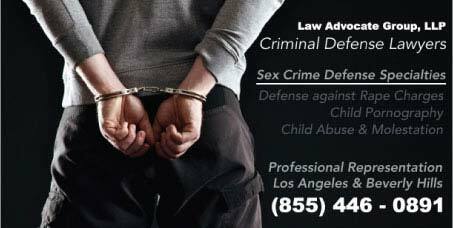 When choosing the best defense for legal matters it is wise to hire a Los Angeles Civil Litigation Attorney that has a solid track record and years of experience in the courtroom. Law Advocate Group, LLP has over 80 years in combined courtroom experience in Los Angeles Civil Litigation, Entertainment Law, Real Estate Law, Criminal Defense Law and Business Litigation. While word-of-mouth is one of the most common ways people decide upon who to contact when they are facing legal issues, it isn’t solely based on that alone. It comes down to proven results, integrity and lawyer client relationships. Law Advocate Group, LLP based in Beverly Hills, CA are a highly experienced group of Los Angeles Civil Litigation Attorneys that have had the courtroom success to prove their worth. The role of the business litigation professional is challenging and diverse. Since litigation is an adversarial process, Los Angeles Business Litigation attorneys and paralegals must be willing to assume an oppositional position and embrace conflict and controversy. By contacting the Law Firm of Law Advocate Group, our Beverly Hills attorneys can evaluate your claim to see if it is fully justified. If this is the case, the litigation lawyer can register the claim and act as your legal representative in court. By hiring one of our lawyers, you have the benefit of knowledge and experience on your side. Having a solid Los Angeles civil litigation lawyer at your side who can handle the case will make navigating the law far less stressful and will keep you informed every step of the way as the case progresses. Law Advocate Group understands that owning your own business is extremely rewarding but rife with constant challenges. We assist our most valued clients in the formation of their corporation and all the necessary steps to safeguard the business once it’s incorporated. Law Advocate Group of Los Angeles provides valuable legal counsel at every major transition, from choosing the right type of entity when forming the company to managing daily operations and targeting a long-term strategy for success and the sale of business. 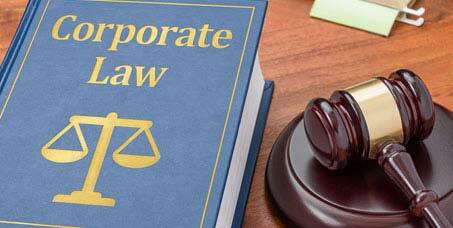 The word “corporation” is usually associated with huge multinational organizations. It has almost become a bad word to the average citizen But many small businesses understand the value of incorporating their business. The legal benefits are many-fold. Forming either a corporation or an LLC allows you, the business owner, to separate and protect your personal assets from the company’s assets. If your business is sued, your personal assets are off limits! This is one of the most attractive features of a setting up your corporation or LLC. There are several tax advantages of incorporating your small business. While profit and loss typically “pass-through” an LLC and are reported on the personal income tax returns of owners, an LLC can also elect to be taxed as a corporation. In addition, a corporation can avoid double taxation of corporate profits and dividends by electing Subchapter S tax status. Let’s face it, the average client will be far more impressed by an Inc, or LLC at the end of your company name. A sole proprietorship just can’t compare. Clients don’t respect DBAs nearly as much as a properly formed corporation. Show up right or don’t show up at all. A corporation will give you instant credibility and authority in your field. Don’t lose potential customers to your more organized competitors. Contact Law Advocate Group today for a full briefing and consultation. Your brand is everything. Competitors are less likely to encroach on your copyrights and trademarks with an established LLC or corporation. Corporations & LLCs can easily continue through ownership changes within your business. If you’re selling the business, the paperwork and hassle involved is much less than when you’re selling a sole proprietorship. In the case of a sole proprietorship or partnership, the business in a sense ends if the owners dies or leaves the business. Forming a corporation ensures that your business legacy is preserved. Also, your clients and employees will be largely unaffected by the transition. Corporations and LLCs may deduct additional business expenses, such as salaries, before you’re ever paid as the owner. This means that the investments you make towards growing your business can be deducted from your business income in determining your actual taxable income. The decision to incorporate is one of the most important decisions you will ever make. Contact Law Advocate Group today. Our Los Angeles Real Estate Lawyers can assist in legal matters dealing with, but not limited to: leasing, corporate real estate, homeowners association law, land sales, real estate acquisitions, real estate contracts, real estate development, real estate fraud and title insurance. 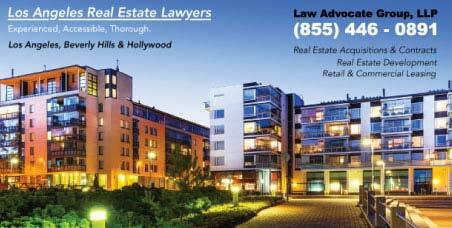 Our real estate lawyers have served Beverly Hills and Los Angeles for over 25 years. Law Advocate Group provides legal support on a wide variety of issues related to Los Angeles real estate law. The term “real estate” relates to real property or land, along with anything permanently attached to the land, such as buildings, houses, and immovable property. Ownership of real estate means the ownership and right to use the land for legitimate purpose. Los Angeles Real Estate law deals with everything and anything that is related to real property and involves regulations and laws for protection of real estate and governance of real estate related transactions. Our lawyers have the knowledge and experience to help you deal with legal matters pertaining to all aspects of Los Angeles real estate law. Property dealings are among the most significant transactions in one’s life, and our firm offers services tailored to each client’s individuals needs, from large commercial projects to individual residential transactions. Our real estate lawyers provide assistance in all matters related to purchases and sales, landlord–tenant disputes, land use matters, boundary and easement issues, broker matters, leases or licenses, and the administrative processes linked to these transactions. Our dedicated firm is committed to providing effective solutions for our clients’ real estate needs. When disputes do arise, our firm makes every effort to resolve issues through amicable settlement. If settlement is not practical, we will not hesitate to advocate zealously on behalf of our clients’ interests in a court of law. If you have a question about a current or pending real estate matter, please contact Law Advocate Group today to schedule an initial consultation with a real estate lawyer. We will take the proper amount of time to review your case and provide you with an honest evaluation and help you to take the next steps. Below we provide valuable resources about Los Angeles Real Estate Law. 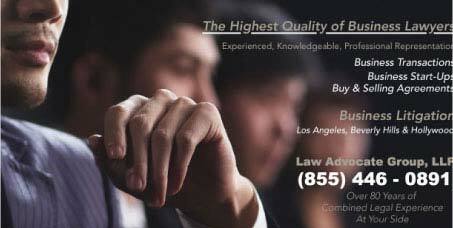 Our Los Angeles Attorneys represent a combined experience of more than 80 years. Each brings their own strengths and concentrations, permitting us to cover a wide range of civil and criminal legal matters. Law Advocate Group makes a point of being accessible throughout LA: Our attorneys give their cell numbers to their clients! Enhancing accessibility is the fact that our staff includes Persian, Hebrew, Filipino and Spanish speakers. We also make a point of trying to contain costs as much as possible. We recognize that law can be a complex process that, if not properly managed, can become protracted and resource-draining. So we are diligent in meeting deadlines, thorough in our work and mindful of your budget. We will speak up when we feel that negotiation or mediation might be preferable to litigation. Susan Rabin is highly regarded by professionals in the entertainment industry who seek legal counsel. 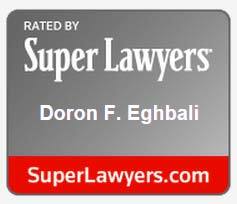 In April of 2013, SuperLawyers.com received a U.S. patent from the United States Patent and Trademark Office (Pat. No. 8,412,564). Super Lawyers has developed an attorney selection process that has a patented multiphase selection process that further demonstrates credibility as impartial third-party rating system. This rating system involves peer nominations as well as evaluations that are combined with third-party research that determine peer recognition and professional achievements. The rating uses 12 indicators and selections are made on an annual, state-by-state basis. We are proud to have Ms. Susan Rabin as a part of Law Advocate Group. Ms. Rabin has been recognized as a Super Lawyer for 9 consecutive years (2006 – 2014) and has been published in Law & Politics Magazine and LA Magazine. Ms. Rabin provides a vast amount of knowledge and expertise entertainment law. Our Los Angeles Law Firm is based in Beverly Hills, CA where our lawyers have acquired over 80 years of combined experience in legal representation. Our skills and knowledge are a top resource for our clients that has been recognized by industry peers and judges. If you have a matter specifically involving a business, entertainment or real estate, please take a moment to fill out the form below so that we may get in contact with you. Our Business Lawyers in Beverly Hills, Los Angeles can help you with a variety of issues pertaining to every aspect of local and national law. To speak with a knowledgeable law attorney today, visit our contact page to initiate the first steps to legal consultation in Beverly Hills, Orange County or L.A. County.